The Community Development Society (CDS) and International Association for Community Development (IACD) are hosting a joint Conference in Bloomington, Minnesota in July 2016 with the theme: Sustaining Community Change—Building Local Capacity to Sustain Community Development Initiatives. Community Developers are change agents. We work to help inform, facilitate, plan, develop, and implement activities and projects to make a positive impact on communities. How do we ensure desired change happens? How do we determine impacts and outcomes of community change? How do we, as researchers and practitioners, help sustain positive change in communities over time? 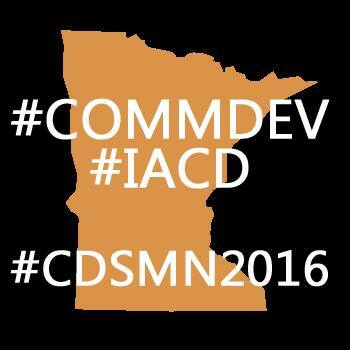 This year the Community Development Society (CDS) and International Association for Community Development (IACD) are partnering to conduct our International Community Development Conference in Bloomington, Minnesota USA July 24 - 27, 2016, addressing the theme of Sustaining Community Change. The United Nations (UN) recently adopted 17 new Sustainable Development Goals which will be integrated with the conference theme of how to sustain community change locally and globally. The 2016 Community Development Society/International Association for Community Development conference offers a platform for dialogue about community development with an emphasis on sustaining community change. We invite you to join us July 24-27, 2016 in Bloomington, and the surrounding Twin Cities (Minneapolis/St. Paul) Metro area of Minnesota with its rich community development culture. 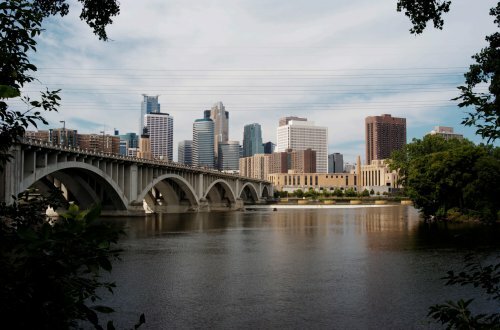 Come to Minnesota to share your research on, learning in, and experience with community change, sustainable development, and the community development principles of good practice. This venue provides opportunities for spirited and lively exchanges about community development practice, learning, and scholarship. Won’t you join us? Download information about the Conference and how to submit your abstract (please note that the deadline is December 31, 2015 or 15th December if you are outside the USA and need an earlier notification time).